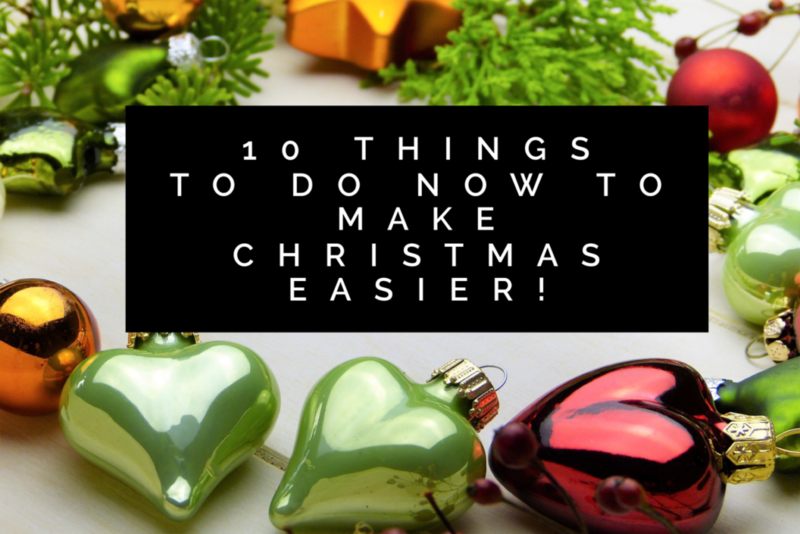 10 Things To Do Now To Make Christmas Easier! 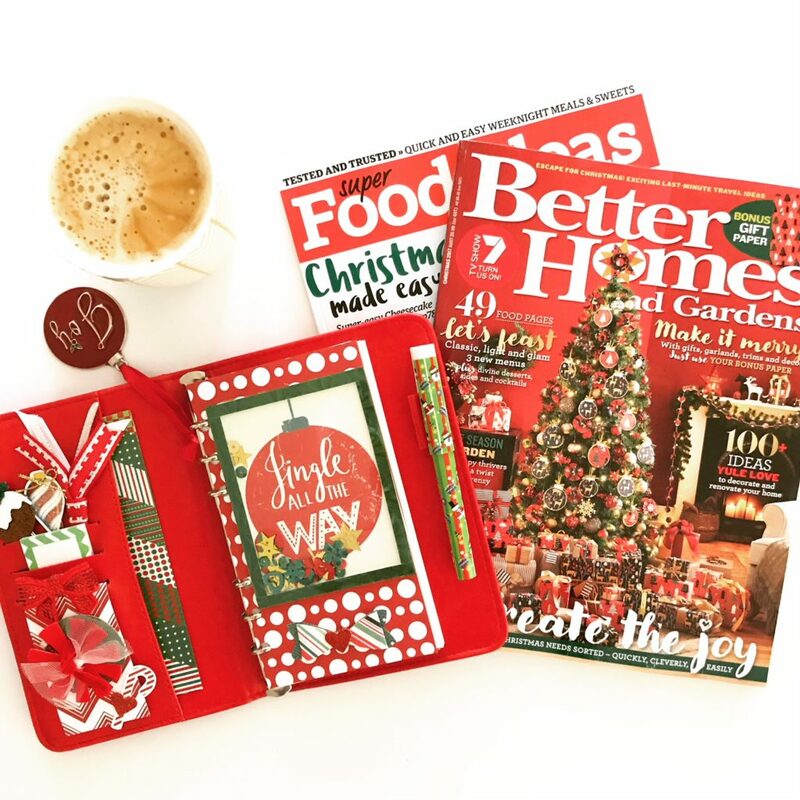 As soon as the Christmas magazines hit the stores, I know it is time to get myself organised. In years past, I would have already done all my shopping and would coast into the festive season with ease, BUT life has been chaotic and I am behind this year, but starting now I am getting on it. I love Christmas, cause I love sparkly things and I get to play with them for a whole month and nobody thinks I am nuts. With a little bit of planning and action, get these jobs done in November and you will have more to time to enjoy the season rather than running around trying to get everything done. One – Make ALL the lists! If you don’t already have some to-do lists done, sit down today with a notebook and start making them. The easiest way to not forget any of the important things you need to remember, keep this list handy so you can keep adding to it as you remember things. Include lists for gifts, food, shopping, decorations, events, travel arrangements and cleaning. Carry a red pen with your notebook to tick of things when they have been completed, as that is such a satisfying things to do. Don’t do what I did one year and try to start a Christmas bake-a-thon without caster sugar! Take a good look at each shelf on the pantry and make a list of everything that is running low, or you know you will need extra of and buy them now when you next grocery shop. Or put in an online order and have it all delivered. If you have a little spare space in a cupboard don’t even unpack it, just put it away until you actually need to start using it. I always stock up on gift wrap and cards at the Boxing Day sales. If your stash is looking a bit bare, buy all that now. Why not add it to your online order and have it delivered at the same time. Make sure you include paper, gift bags, cards, tags, sticky tape and ribbon if you like to use it. Setting up a gift wrap station in a spare room makes things easy for quick access, but if you don’t have room, keep all the supplies in washing basket or cardboard box so that it is quick to grab and you don’t have to waste precious time collecting what you need when its time to wrap. Four – Eat from the freezer! For the next two weeks make an effort to use up all the things you have stashed away in the freezer. Having space in your freezer is a must at Christmas time, so eat up things that are lurking in there so you can make space. When frozen nibbles, berries and other goodies go on sale you will be able to grab them knowing you have room for them. Its a great way to build a stash and save some dollars. Five – Stock up on gift cards on sale! Keep your eye on your junk mail in the lead up to Christmas. Supermarkets will often offer discounts on gift cards in the lead up to the big day. Instead of spending hours looking for the perfect gift for those hard to buy for, a gift card can save your sanity and if you feel that gift cards a little impersonal you can always add a little gift as an extra. Six – Pick a Theme! Whether it is a colour or symbol theme, picking one now can help you create a cohesive look for Christmas that will have others thinking you are totally awesome. Traditional, pastel or metallic are these easiest colours schemes to work with and using a tree, bell or star as your centering object if you want to pick one can make your shopping trips quicker. When you choose a new decoration or ten, candles, serviettes or any other festive items, if you stick to one style you can grab what you need without having to decide which ones you prefer. The end result is a home and table that all fits together beautifully. Seven – What needs a wash? Christmas tablecloths can get a little musty from being hidden away in the linen cupboard for a whole year. Pull yours out now and check if they are clean and ready to use. If not, wash and iron them now, so they are ready to go. If you are having guests coming to stay with you, make sure sheets and towels are ready for the onslaught. Eight – Find it fast! Every year I go through a pile of recipe books and magazines trying to decide what to make. When it came time to make a final list and grocery list sometimes I could not remember which book or magazine it was in. Now I make a list with the recipe, book or magazine it is in and the page number so that I can find it in a flash. Recipes from past magazines are now stored in a lever arch file in plastic sleeves and the ones I want to use are placed on the top so I have instant access. Nine – Count the cutlery, and the plates, and the glasses! Miss WW is chief executive dish washer in this house and at her last birthday party afternoon tea, I discovered I had a whole TWO teaspoons to my name. Yep, 4 cutlery sets including my good one no longer included teaspoons. No idea where they have gone, but probably they ran away with all the single socks. Needless to say, more have now been purchased and if you are entertaining at your home, make sure you have enough of all the basic supplies required to eat a meal comfortably. If not add them to the shopping list asap! Ten – Pencil in some ME time! Save your sanity and pencil in some time just for you. Book in to have your hair done, nails painted, a massage or anything that will give your some time to yourself. Hairdressers and beauticians will be busy as everyone wants to look their best so if you have a favourite book them now so that you don’t miss out. Your happiness will flow on to all those around you so make yourself a priority this year. Make this the year to coast through Christmas with ease and grace and leave the stressing last minutes rushing around to everyone else. Start today and spend 15 minutes getting those list done and the rest will flow. How sorted are you for Christmas? What is your favourite tip for getting it all done? 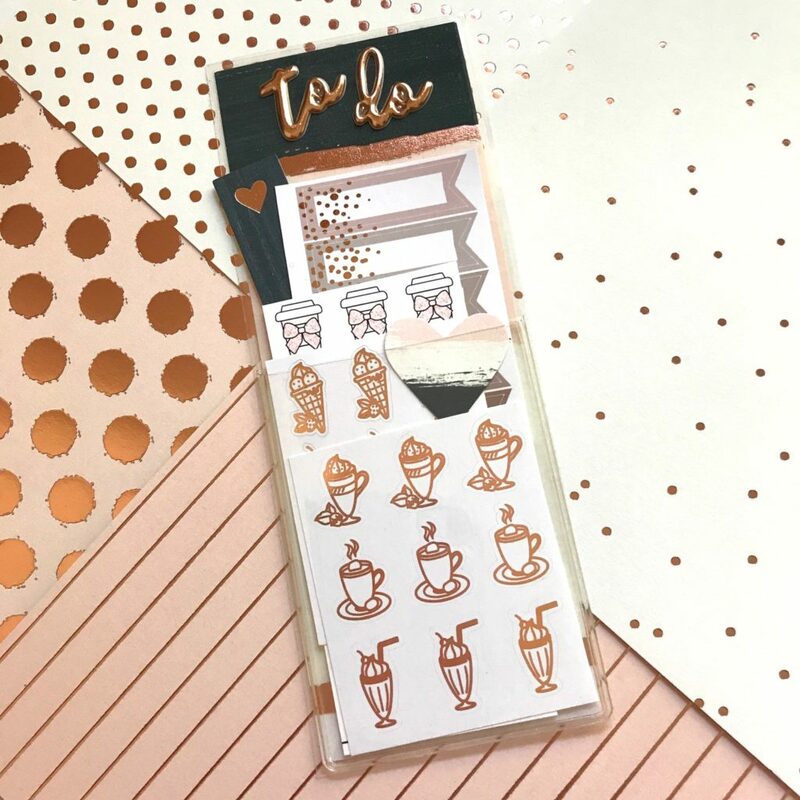 Decorating your planner has become so much more than sticking down a few stickers and writing in your to-do’s! As I have always loved to play with pretty things, decorative planning was an accidental find a couple of years ago that has got me in hook, line and sinker. Thanks to social media, there is always something new to buy but not everyone’s budget allows for this. Planner kits such as The Planner Society send you a new parcel of goodies each month so that you can make your planner look super pretty. Whilst I absolutely adore their kits, its not cheap having them delivered to Australia and you get sent so much that I just don’t have the time each month to actually use it all. With some pretty fast typing I have collected quite a large collection of their products thanks to Facebook destash pages and I don’t have to suffer from FOMO! 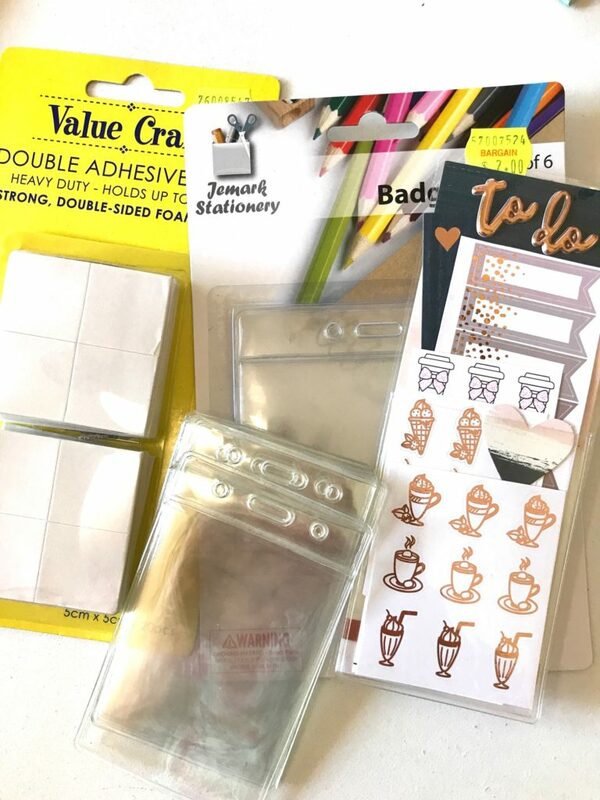 Another very cost effective way to create pretty things for your planner is to invest a small amount in some scrapbooking supplies. Even though I was a stall holder at the recent Brisbane Planners Market, this time around I made sure I got some shopping in so that I could enjoy the same thrill as all the customers. At the last two markets I had all intentions of buying things but it didn’t happen or things were sold out before I had a chance to grab them. 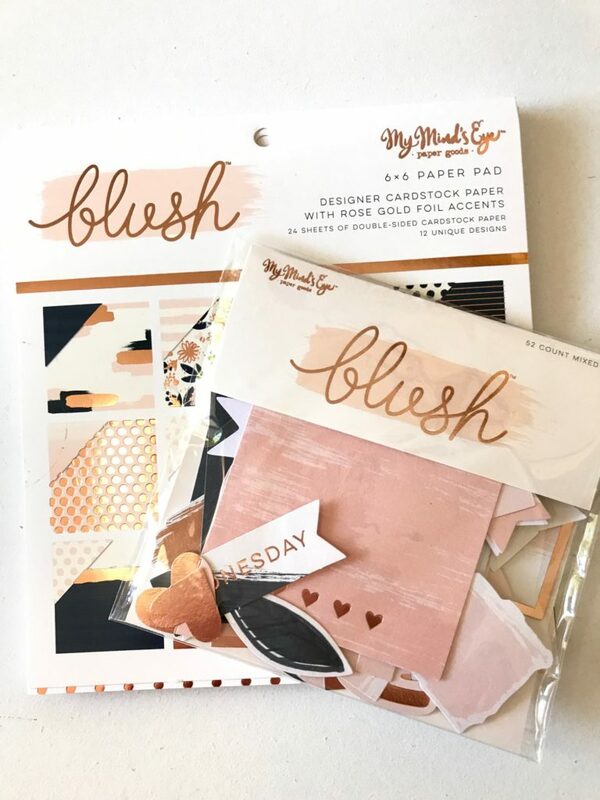 One of the first things I bought was this 6 X 6 inch paper pad with the matching ephemera pack from Washi Gang as the blush crush is very real in this house. Unfortunately foiling does not photograph well but all of these products that include foiling are done in a beautiful rose gold. As the 6 x 6 paper pad is just a bit too small to create a complete personal size planner dashboard, I simply used the one that came in my Kmart planner and cut a rectangle to cover most of it and added some ephemera pieces and a doily. I cut out a piece of cardstock to use as a backing sheet and then added some ephemera and clips etc to fill the pockets. A thin strip of laminated card stock is perfect to add some washi for future use. 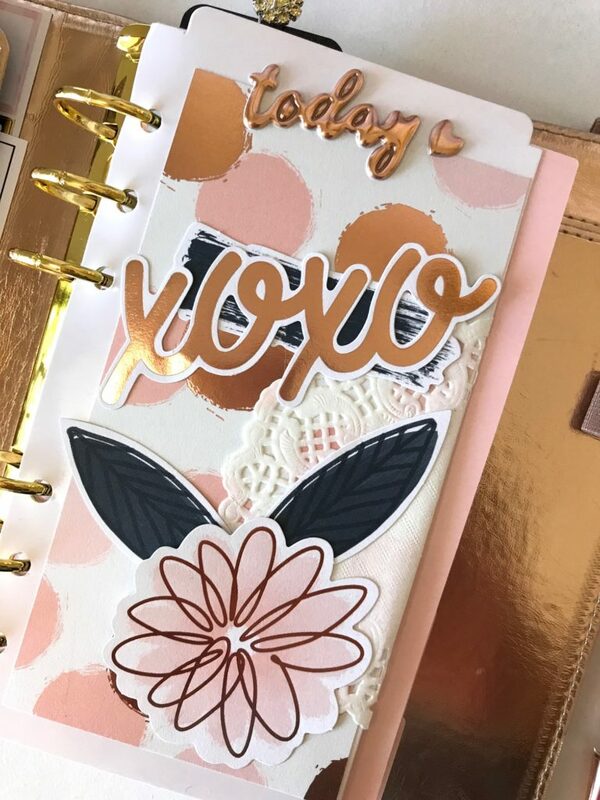 And of course I had to make a page marker because that addiction is real and are using it to hold some of the beautiful rose gold foiled stickers I recently purchased. The Americans can duck down to Target and buy these awesome clear pockets complete with adhesive that you simply stick on to your back sheet. BUT of course we can’t buy them here. I did grab a pack of pockets from Officeworks, but only two are a good size and the others are too big so will require surgery to make them useable. Whilst perusing the aisles of a local cheap shop I found these things…. The ‘pockets’ are actually crystal clear business card tags. One pack are cut for vertical use and the other horizontal. All I did was trim off the top portion to leave a nice clean pocket and used these heavy duty double sided tape pieces to adhere it to the back piece of cardstock that I ran through the laminator for strength. $6.50 spent and I can make lots of pockets for very little cost. The vertical ones are ideal for personal size and the horizontal will be ideal for A5 plus. 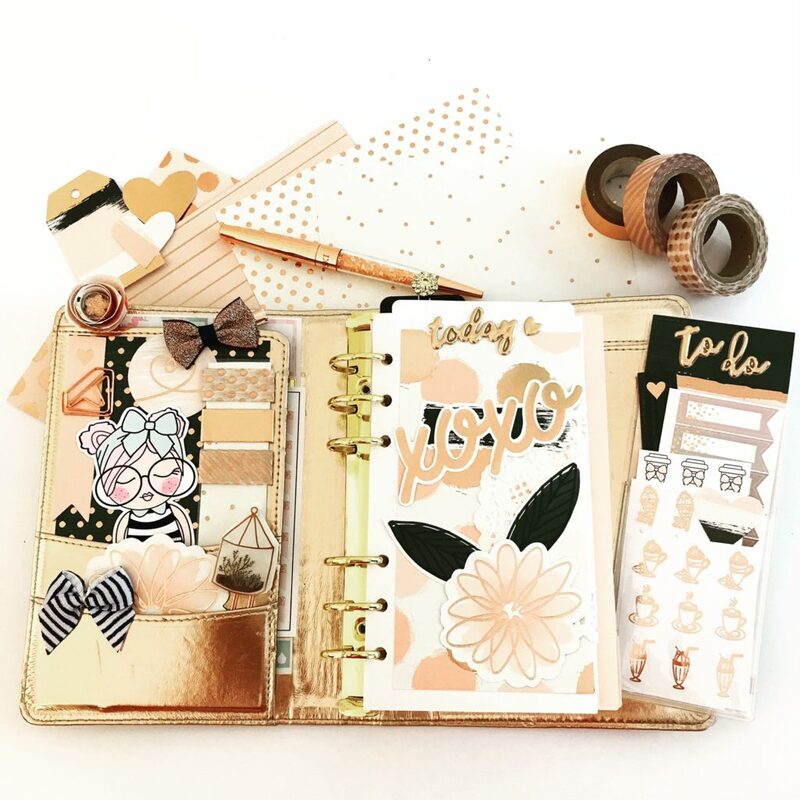 Hope this gives you a little inspiration to give your planner a face lift without spending a fortune. 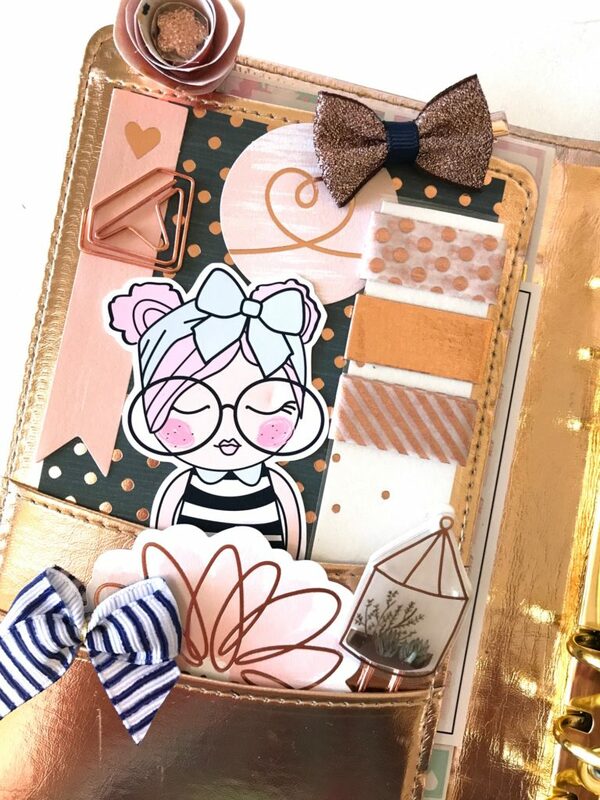 Have you used scrapbooking supplies in your planner? Are you team rose gold? Please leave a comment and let me know what you think or if you want some help in making any of the above. Chocolate Grazing Plate, A Great Alternative To Cake! A few weeks ago my ‘baby’ turned 18! How the hell did that happen, it did not seem that long ago that she had her first day of school…. Both of my girls have always had a birthday party every year….yep, I am one of those mums that loves organising parties, coming up with themes and baking up a storm. 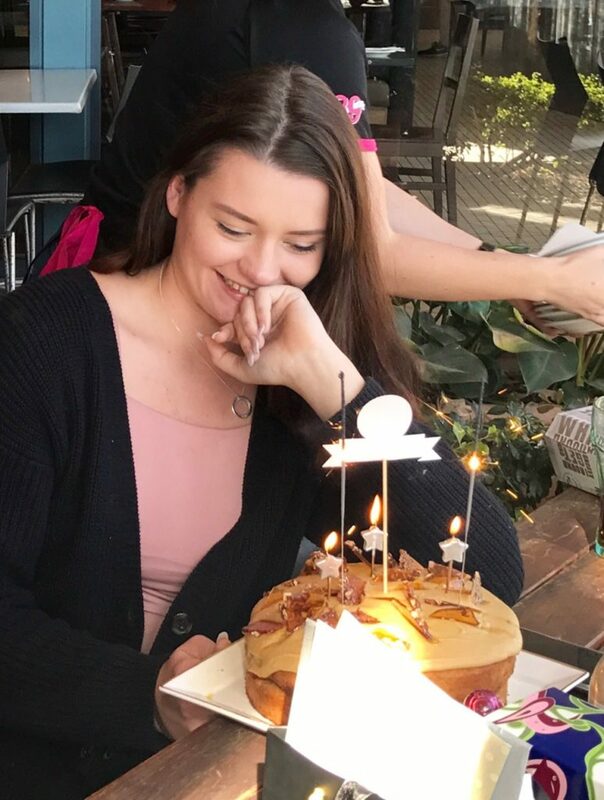 As we were planning her 18th party, she informs me she does not want a cake….WHAT! Who has a major life event party without a cake? Miss WW does. Ok, time to come up with plan B. We did have a caramel and pecan mud cake at her family and friends lunch, but I hatched a different plan for her party. Admittedly I did notice at last years party that the awesome cake I made did go virtually untouched so I did not argue about not having one this time. Miss WW loves chocolate and adores brownies, so I combined the two and popped it all on a large white platter and that was a huge hit and was literally inhaled by everyone. I did not have time to experiment with brownie recipes so I played it safe and went with my one pot brownie that is just lush and you can get the details here. A block of Nestle Cookies and Cream chocolate cut into pieces. But you can use whatever chocolates are your favourites. Nestle was on special that week so they won out. Sparklers also won out as I did not want to try and stick 18 candles into all the brownie pieces. The brownie can be made the day before and with virtually not preparation required so it is an easy dessert for any party. Have you gotten into the grazing plate style of food service that is so popular right now? 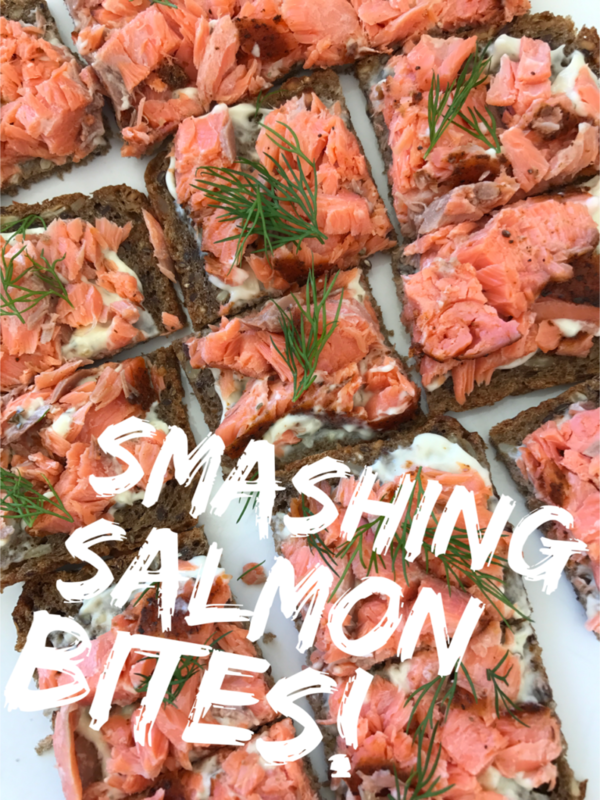 I have never met a piece of smoked salmon that I did not like, and these smashing salmon bites take that love to a whole new level! Whether you want to impress your guests or simply make a healthy lunch you can’t beat the delicate flavour of this fresh salmon that does not have quite the same intensity in flavour as traditional smoked salmon. This style of salmon is also available with additional flavours such as sweet chilli and are well worth trying. 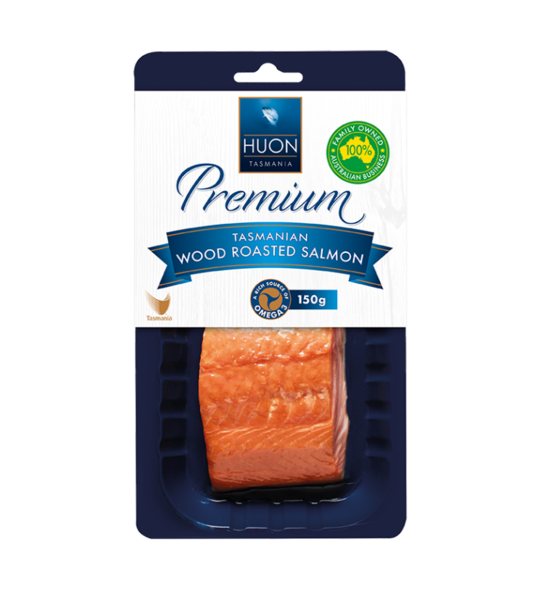 My brother had a Huon Salmon hamper delivered to mum and dads house for Christmas and then again at Easter and we created these yummy bites and they disappeared so fast. Thankfully you can buy the salmon in the supermarket and this is now one of my favourite lunches. They are super quick to make and you only need 4 ingredients! To make these lush morsels, simply spread some mayonnaise on to the break slices, break up the salmon with a fork and spread over the slices. Top with small sprigs of fresh dill and serve. These bites can easily be made in advance and kept covered in the fridge. Fortunately using a nice heavy bread, ensure that they do not go soggy if left in the fridge for a while. The salmon addiction is real, do you love it too? FYI – This is not a sponsored post, these products are just too good not to share, and if you need smoked salmon fix, their Kaffir Lime Leaf and Gin flavoured one, is to die for! Easy Ways To Add Colour To Your Winter Wardrobe! As soon as the weather turns cold, out come the jackets, jumpers and all the boring black, brown and greys! That is one of the reasons I love summer, apart from detesting layer upon layer of clothes, I adore colour and the traditional winter hues I find depressing and bleak. I go out of my way to find pretty ways to add colour to my wardrobe as it definitely makes me feel happier and more confident, and with serotonin production (happy hormone) decreasing during the winter months due to lack of exposure to sunlight, it is so important to find ways to brighten our days. Here are some beautiful ways to add some colour to your day! Wearing a silk scarf around your neck is just the most beautiful feeling. Instead of the traditional wooly variety that can be a little prickly, try the luxurious texture of silk and you will be won over. I found this Australian company Seahorse Silks by accident a few weeks ago, and they have some stunning designs, many of which have an Australian theme like Noosa, Margaret River and Avalon just to name a few. 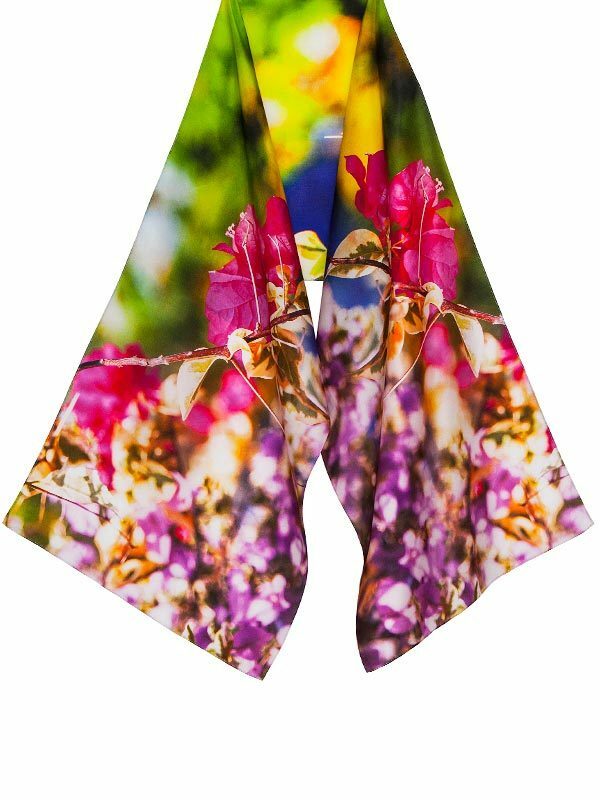 The colours are incredible and they are nice and long, so can be wrapped around your neck a couple of times if its really cold. 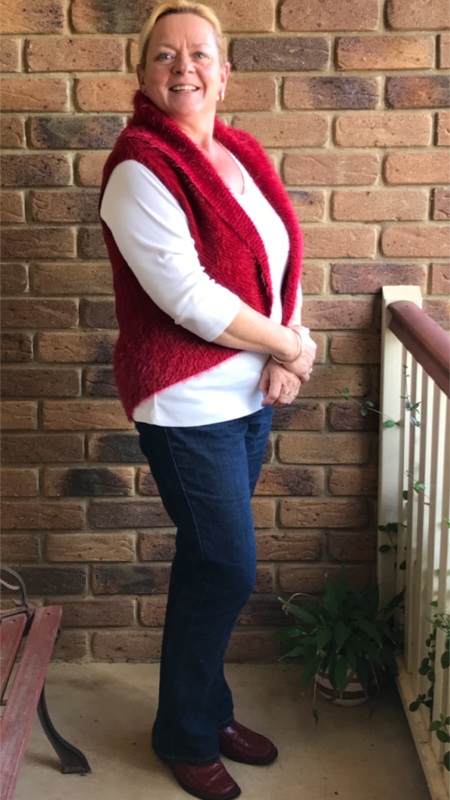 These clever little numbers are perfect for our winter in Brisbane, but would work brilliantly as an extra layer under a jacket in the colder zones! When I received this red wrap from Vivid International (gifted) I knew it would become a firm favourite. It is so soft and is perfect for keeping the chill off my neck which is where I feel the cold first as I always wear my hair up. This burst of red is just what I need on a cool morning. You can find your local Australian stockist here. Adding some pretty jewels in warm colours is an easy way to brighten up your outfit. 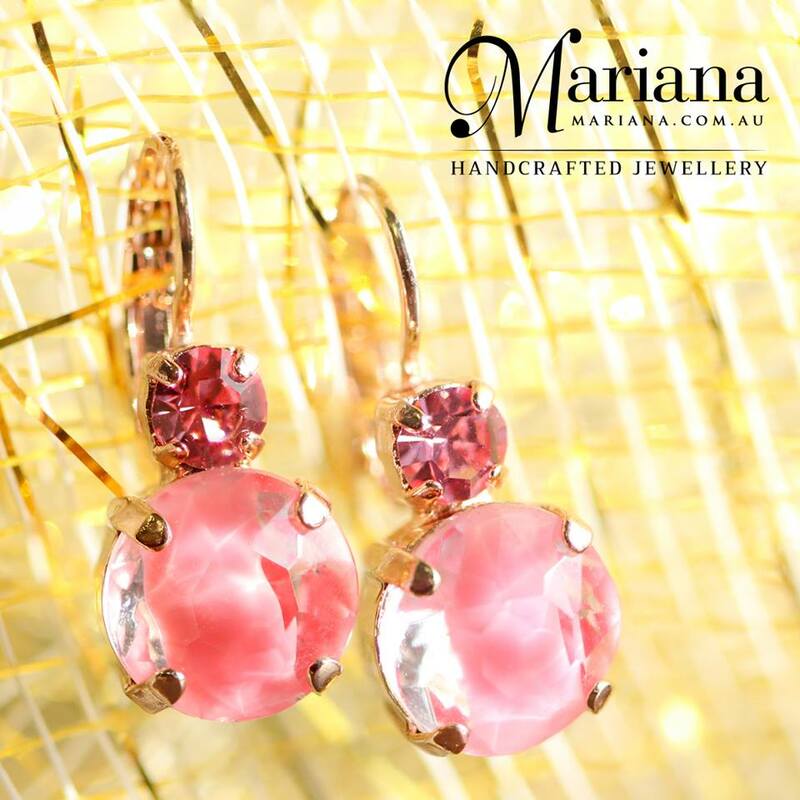 A few years ago mum and I walked into a gift shop in Noosaville and fell in love with Mariana Jewellery instantly. The displays are so vibrant it is almost impossible to pick a piece. This beautiful bling is worthy of your investment, as my first pair of earrings that I got still look perfect after a few years of wear. I know you can pop into Lovisa and pick up sparkly things for a few dollars, but for me I only get to wear them a couple of times and the metallic finish wears off and the gems fall out. Find your closest stockist or buy online here. No one will argue that using a black handbag is practical as it goes with everything and you don’t have to change bags all the time. There are three BIG drawers full of handbags in my bedroom as the addiction is very real so I have plenty to pick from. I get emails from Strand Bags regularly and as I am a Guess fan, I often open them to see if they have any good deals. This tote is a beautiful warm colour and would not clash with a winter wardrobe and could be a great alternative to black. Stay warm this winter and invite some pretty colours into your wardrobe, it will make you feel much more cheerful. 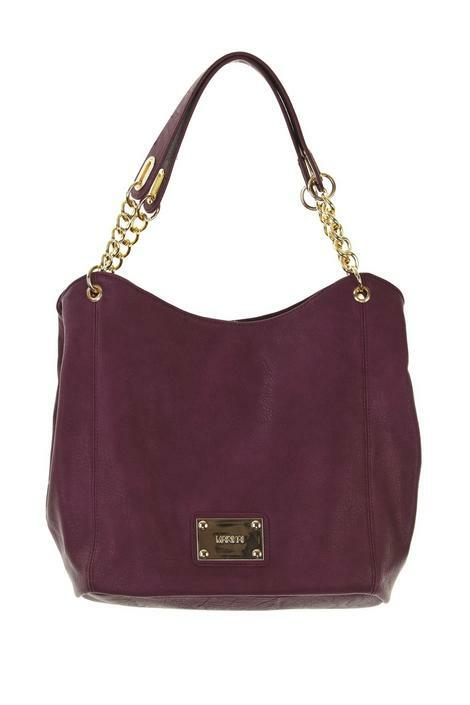 Do you have a favourite colour as your go to in winter? 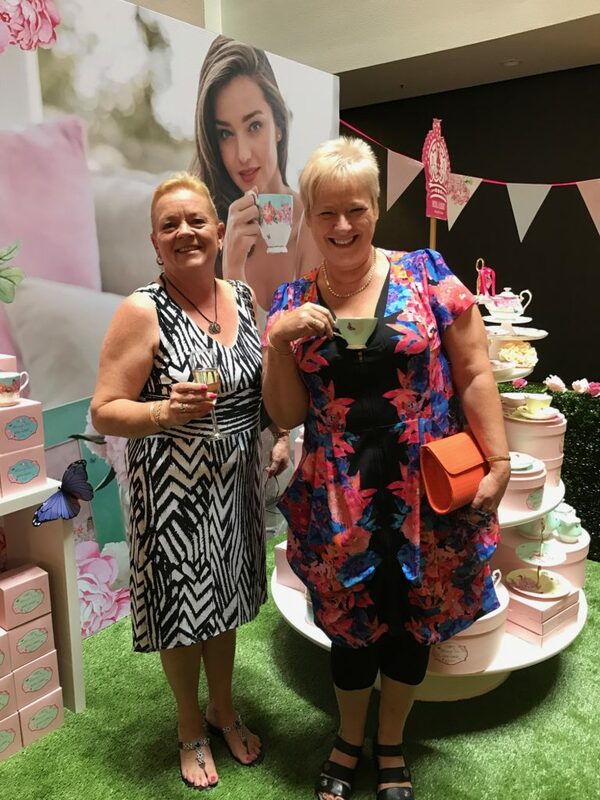 It is not everyday you get to dress up and spend an afternoon with a best friend enjoying a delightful high tea, but that is just what I got up to last Sunday! The High Tea Party starts it’s Australian circuit in Brisbane and offers you a perfect opportunity to get some girlfriends together for a little lot of merrymaking as you not only get to enjoy a beautiful dining experience, there is also free flowing champagne and shopping! It does not get much better than that. While my friend of 39 years and Miranda Kerr were doing the tea thing….I was making the most of the bottomless champagne! Tupperware, art, make up and more to explore. And that Royal Daulton display was just divine, I wanted to take it all home with me. 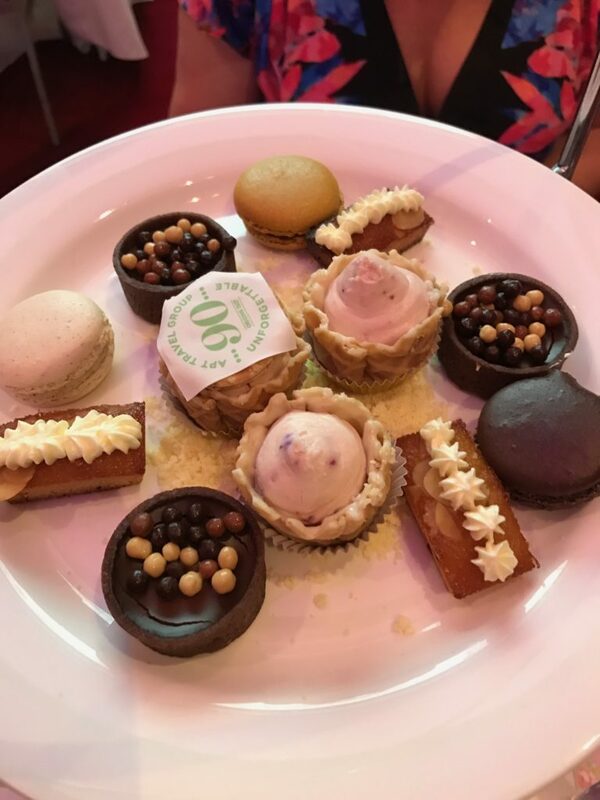 Once inside there was gifts on the table, unlimited tea and coffee, traditional High Tea favourites such as finger sandwiches, mini quiches, scones and delectable bite size morsels of yumminess…..yes, those chocolate mousse cups tasted just as good as they looked. 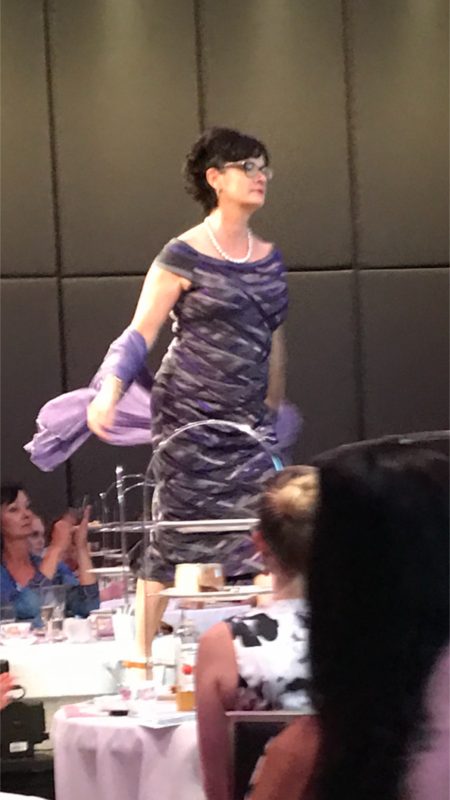 There were talks from sponsors and prize giveaways, your name goes into a draw to win $1000 of Royal Daulton, but most importantly there was a fashion parade, with a difference. One of my blogging buddies Vicky from Life On The Hill was one of the models in the fashion parade featuring gorgeous gowns from Living Silk. All of the models that took part in the parade are courageous women who have been fighting the cancer battle and they all got up on the stage so proudly and I don’t think there were many dry eyes in the house during this important part of the event to raise awareness for #pinkhope. They all looked so beautiful after being treated backstage to hair and makeup pampering. How fabulous does she look? Find out when the next event is happening in your city and book a date with your besties. We really had so much fun and I am sure you will too! We have already decided that next year we are going to get a little group together as there were a few who wished they had been going too. 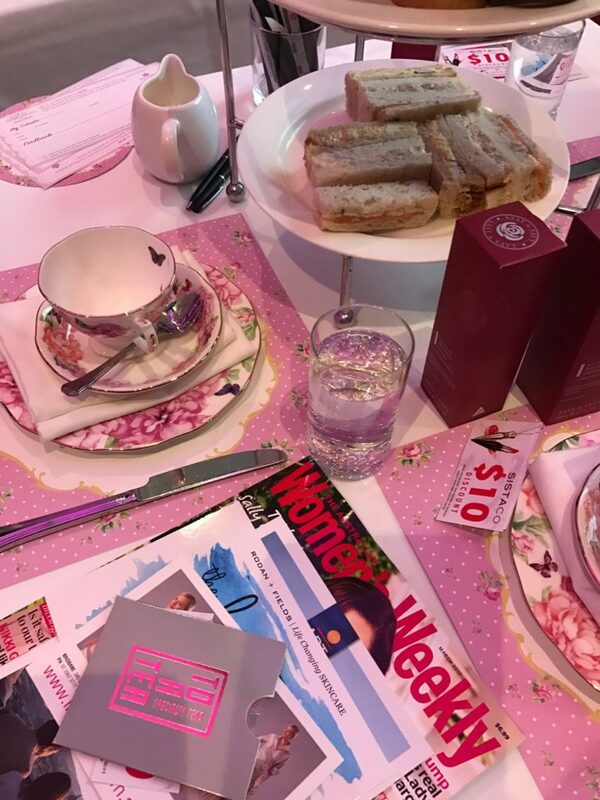 Have you ever been to The High Tea Party event? 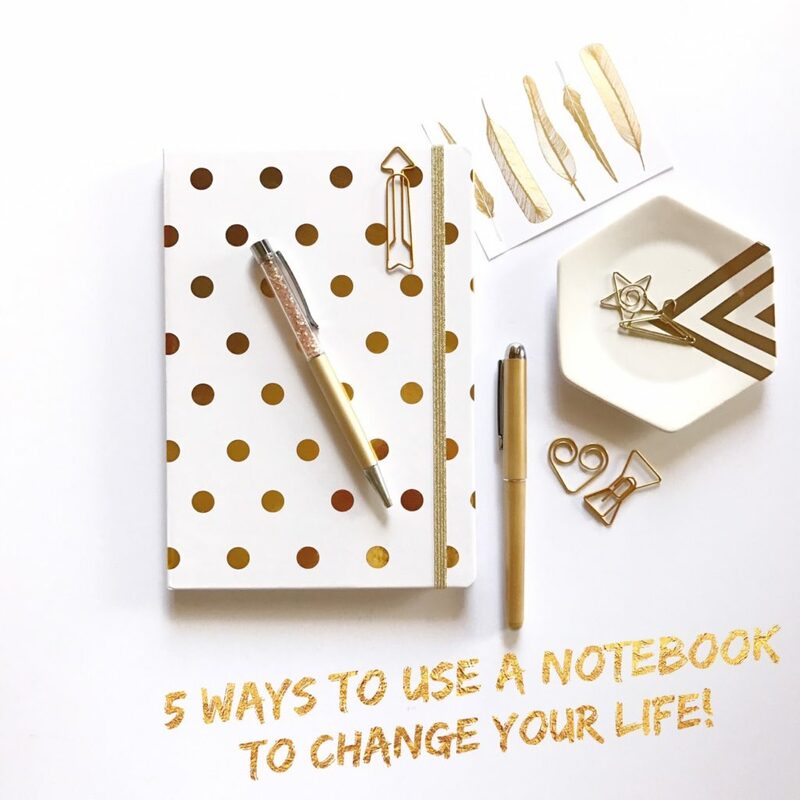 5 Ways To Use A Notebook To Change Your Life! If you are anything like me, you just might have a pretty notebook or two ten that you have not written a single word in yet. If you don’t have a stash of prettiness, now might be the perfect time to invest in one or two, but really any notebook will do. One of the most powerful ways to invoke change is to write things down and make a plan. With the new year only two months old, why not try some of these ideas to help make 2017 really awesome. The stories we run on repeat in our brains, reflect how our outer world appears. If we continually put ourselves down we cannot thrive. When we continually tell ourselves I can’t do this or I don’t have that we create negative feelings towards that subject and the energy you project out is what you keep getting in return. Positive affirmations repeated over and over again, gently retrain the brain to think about things in a positive way. For affirmations to be effective, they must be written in a way that declares you already have that thing, or feel that way. Using words like when I or if I etc. will keep fuelling the negative belief because you are affirming that you don’t have it. Think about all the things you would love to have, be or do and how you would feel when they are reality and frame your affirmations as a statement that its already happened. Starting affirmations with ‘I am’ is very powerful as you are declaring it is so, with no room for maybe’s. Write down every positive affirmation you can come up with, or a quick scroll through Facebook or Instagram for inspiration or google positive quotes/affirmations and start filling your book. When you need a lift or are having a tough day with a flurry of negative thoughts, read through your affirmations and feel your focus change and energy lift. The path to losing weight it one of those journey’s that can be long and arduous. Everywhere you turn their is another chocolate bar or vanilla slice waiting to be consumed. I have never been thin a day in my life and there have been a few times I have felt positively huge, so I totally get how hard it can be. So much emphasis is placed on what you CAN’T have when you want to shift some weight, but you can use a journal to focus on the things you can have and do to make it a more positive experience. Obviously tracking your weight loss is a good place to start, but sometimes focusing on reduced measurements can be more rewarding. Use gold stars or cute stickers when you see the numbers go down for added incentive. Make lots of lists such as exercise you actually enjoy, healthy meals that are easy to make, snacks that are good for you, clothes you would like to buy when you reach your next target and rewards such as a beauty treatment. Adding photo’s of your success is a great motivator. You could also add pictures from magazines of how you would like to look and the clothes you would like in your wardrobe works a treat too. 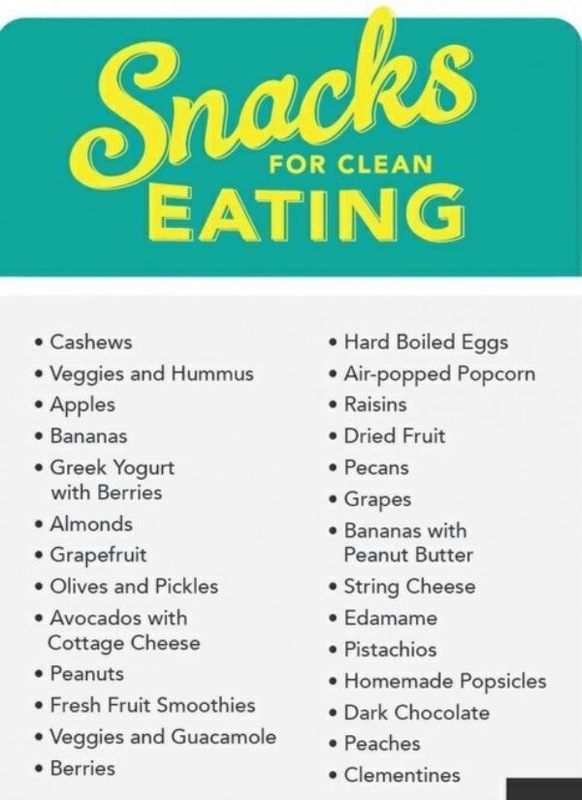 Tracking everything you eat for a week or more can be confronting, but an honest list can be very powerful in helping you not eat that family size block of chocolate out of sheer terror of writing that shizz down! This might not be the perfect choice for your prettiest notebook as some of things you use it for will be going up in smoke…literally! Writing down your problems can be therapeutic in itself. Dumping your anger down on a page can help to release built up stress and rage. When you have finished writing down everything that needs to go, tear the pages out and take them outside. You will also need some matches and a bowl or bucket. Set the pages alight and ask for all to released to the universe to deal with. Let it burn while you take a big deep breath or two and then place it in the bowl until it is only ashes. If you are struggling for answers to a problem, take the time to write out what is concerning you, and then place the pen in your non-dominant hand and start writing whatever comes up. Don’t judge or analyse but let the words flow. By letting your other hand do the writing you are turning off the logical process of the brain and allowing the creative area to flow and this could be a way for you to tap into solutions that your logical thinking may not have thought of. This form of note keeping has been around for centuries and was developed as way of keeping handy information in one place long before the invention of computes, smart phones and tablets. Rather than relying on memory, a common place book is an ideal way to keep track of things so that all the information remains in one place. Use it record scraps of information that you know you will want to remember them in the future. Fill it full of quotes, ideas, cooking hints, reading suggestions, poems, movies to watch, quotes from articles or books, websites you want to check out, measurements and any other bits of information you don’t want to forget. You can add photo’s, magazine clippings, paint chips or any other visual reminder. This handy tool has eliminated all those little scraps of paper that I would continually jot things down on and then could never find them when I actually needed them. I leave mine on my desk but have a mini notepad in my handbag incase I need to jot something down whilst I am out and then I just add it in when I get home. My middle aged brain is enjoying this one stop information shop! We all have good days and bad days, but one of the worst things you can do for your emotional and physical well being is to go to bed angry. Gratitude is a very powerful emotion that can open the doors to wonderful things. Giving thanks even when things are tough can really help to calm fear and frustration. No matter how tough your day has been, going to sleep with your last thoughts being one of thanks and love will help you get a better nights sleep and will fill you with the energy of positive attraction. Before you turn off the light, find one thing that you are grateful for that day. Even if it is just that this day is over and you have a bed to sleep in will be a good start. Write it down in a notebook that you keep beside your bed. If you have had an awesome day, then write down more things. Flip through the book at the end of each month and bask in the feeling of all the great things that did happen. It is a surefire way to feeling good and inviting more of that into your life. Do you love pen and paper, or have you gone the techno way to keep things sorted? Well just like that the first month of the New Year is already over. I did find a few new favourite things and I hope the trend continues! NEW TREAT FOR MY FEET! The weather has been so hot, and I really hate wearing closed in shoes in the heat. Cute little thong arrangements might look nice, but they do not offer any support. After suffering for over 6 months with Plantar Fasciitis, I learned the hard way that wearing shoes that provide support is so important. I don’t know where these awesome things have been hiding all these years, but Fitflops have been a game changer for me. I first discovered these clever inventions when I was shopping at the post Christmas sales, and they were not on sale. $199.00 for a casual shoe is a pretty high price tag so they stayed on the shelf. Just a few days later I got an email from OO.com.au and I scored these beauties for only $55.00 including delivery. This bargain hunter could not wait for the parcel to arrive! The moulded base provides great support for my instep and they are so comfortable to wear. Definitely worth investing in. I have had many favourite fragrances over the years and they damn well keep discontinuing them. I still have the tiniest bit of Tuscany Per Donna by Aramis left that I refuse to use. It is really lovely to have a bestie that is prepared to take a gamble and buy you perfume for your birthday. She did good, really good. 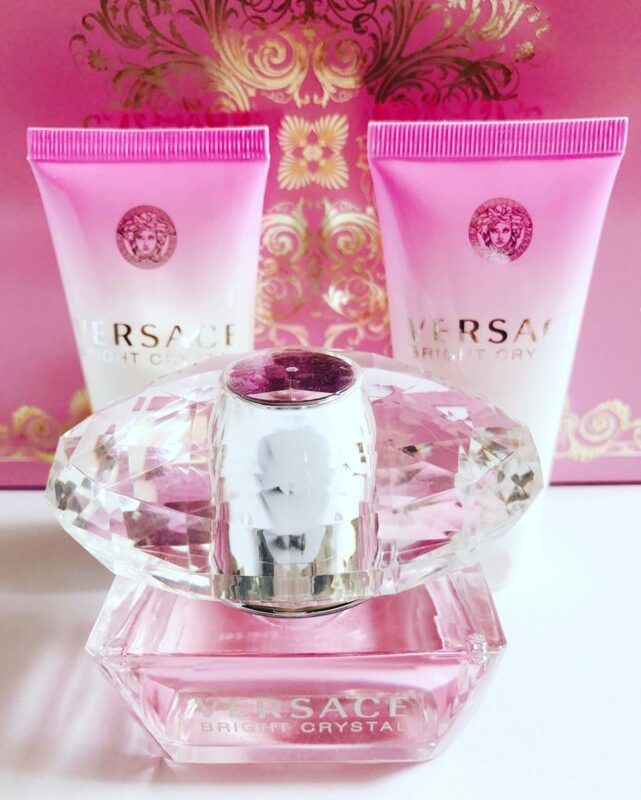 Versace Bright Crystal not only looks divine, but I absolutely love the really fresh but not too florally scent. 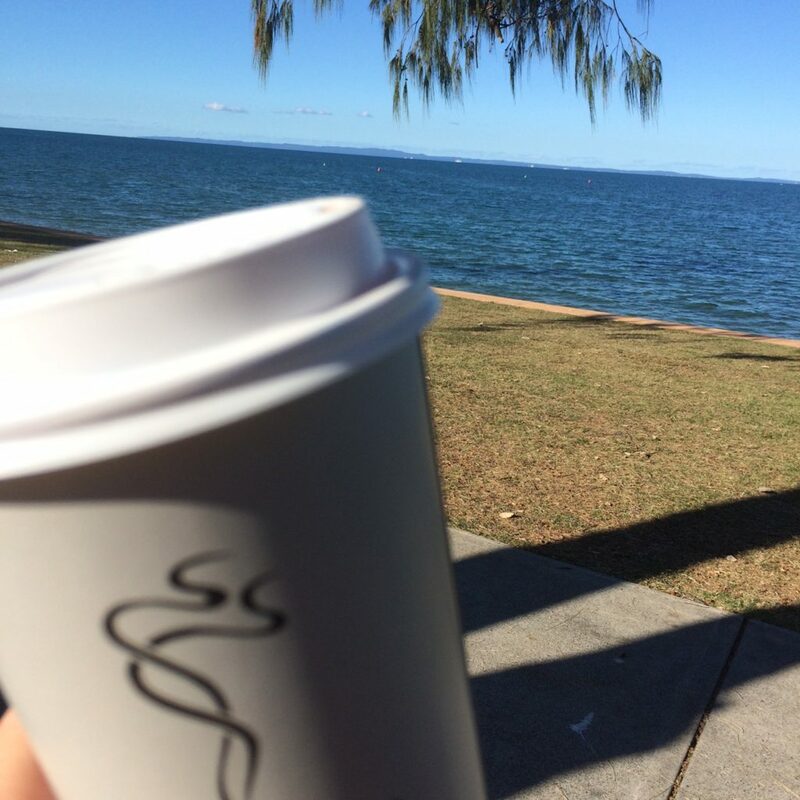 On a very hot Brisbane day a few weeks ago, I went on a scavenger hunt around the city. We did not have to collect things, but photo’s for the prompts provided. It was one of the most fun things I have done for a long time, and fortunately the group of girls that I was in were so much fun. One of the prompts was ‘Your team having a drink’. Our very first port of call was the pub, as a drink was absolutely required. We all decided to pick a different coloured shot to make the photo look kind of fun. Whilst we all tried to decide which shot to have, the bar tender asked if any of us like coffee? She obviously has never met me before, but I yelled yes the loudest and in return got this little glass of goodness. 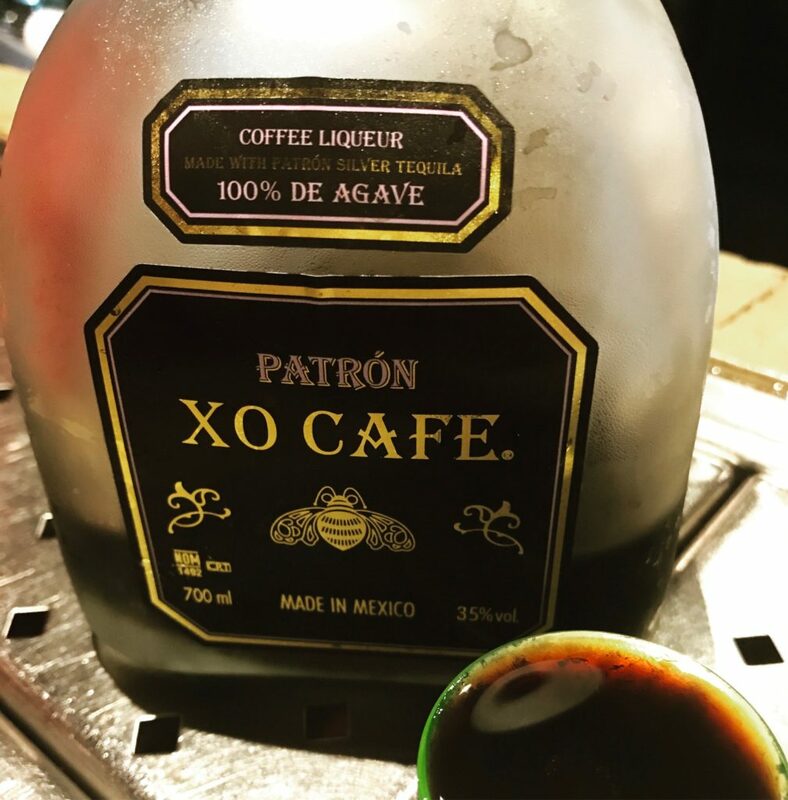 Coffee + Tequila = Heaven. This slid down way to smoothly that I was so tempted to abandon the rest of the hunt and make myself comfortable at the bar for the rest of the afternoon. Kerrie Hess is right up there on my A list of illustrators that I admire. 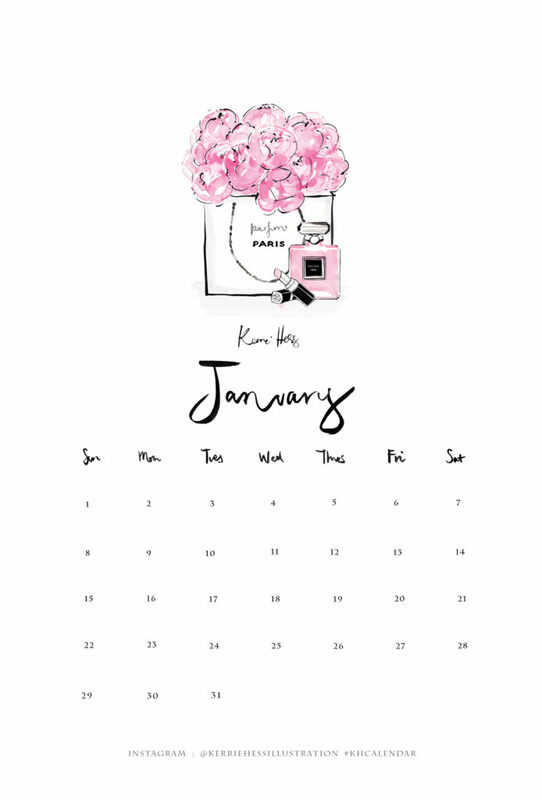 I discovered that if you sign up on her website, you get an email each month with pretty calendar page. I have mine on a clip board at my desk and it is a really pretty edition to my office. I hope you have had a great start to the year and things just keep getting better! Did you find any fabulous new things in January? 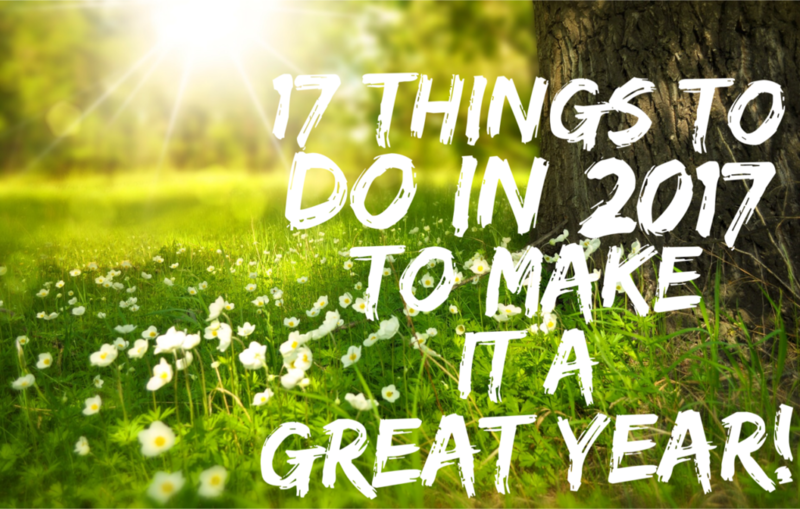 17 Things To Do In 2017 To Make It A Great Year! Hello 2017! What wonderful things will you bring? The new year is now in its second week, how are those resolutions going? If you made some the odds are pretty good that you have not stuck to them. If you have, YAY! 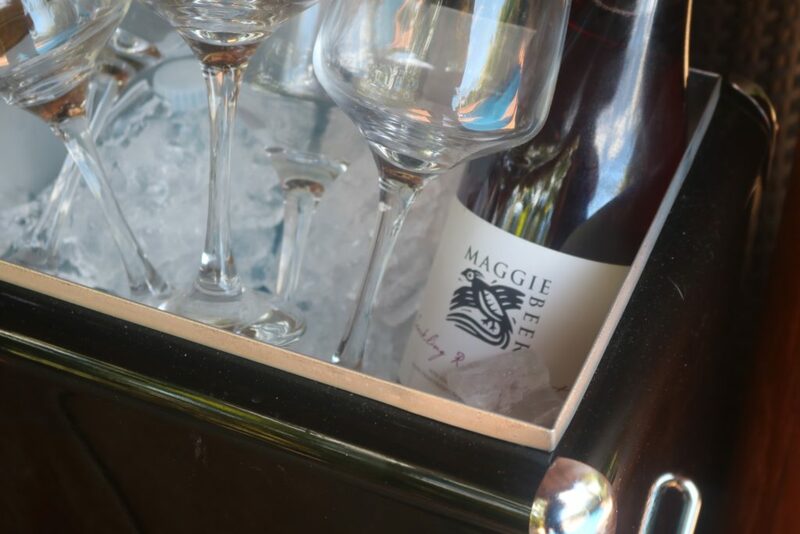 You deserve a glass of bubbles tonight. One of the best ways to start off a fresh new year and have it go pear shaped is to make plans and promises that require major changes to habits that you have been used to living with possibly for years now. If you have not stuck to your resolutions you already feel like a failure. Change takes time unless you have willpower made of steel. I sure as hell don’t but I also do not want to keep living the same ‘stories’ that have dominated over the last few years. 2017 is a ‘1’ year which in numerology is the start of a new cycle, so it is the perfect year to start making the changes you want to see for your future. Small steps taken daily will help you form new habits and by the end of the year you will see some real changes. Here are some things worth giving a try, they might be a good fit for you, or may help trigger ideas so that you can make your own list. Choose a word to guide you through 2017 rather than a resolution. What is the one thing you really crave or the part of your life you would love to change the most? Choose a word that will constantly remind you of the direction you want to head towards. 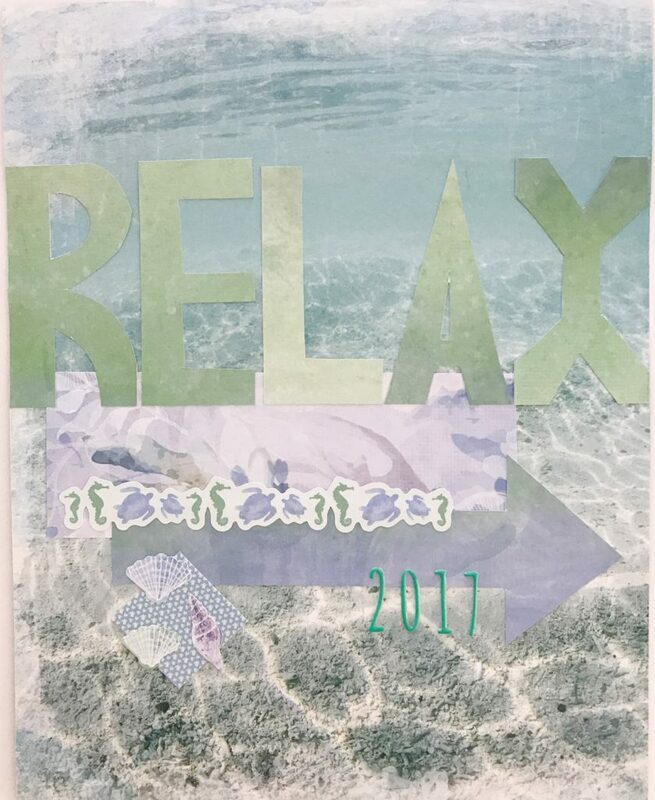 This year my one word is RELAX, as it is one of the hardest things for me to do, but I know it is something I truly need to master. I feel guilty when I made time to play with art supplies or read a few pages of a book as there is always so many things that need doing and being a single mumma means everything has to be done by me, there is no partner to help with the work load. I made this little reminder with some scrapbooking supplies and I see it every time I sit down t my desk. Change can be scary. Our ego would be much happier if we just keep doing the same old things as it is comfortable there and feels safe. So often fear stops us from trying new things incase we fail, but trying new things is the only way to realise dreams. Sometimes just trying to decide on what steps to take can stop us from even starting. Try this little Feng Shui tip for inviting in change. Move 27 things around your home. Keeping everything in the same place allows stagnant energy to build up. At the change of every season move 27 things into different spots and allow fresh energy and ideas to flow. Decluttering is a buzz word right now and for good reason. You need to get rid of old things to make room for new things to come in to your life. Just start with one drawer and then move on to the next and throw out everything that you really don’t love. I have so many things that I hang on to because I ‘might’ need it, but late last year I started tossing and will keep going until every room in the house is done. This coffee addicted mumma would rather sip on a skinny cino than a glass of water, but we all know that hydration is vital for good health. Keep some lemon and lime slices in a snap lock bag in the freezer and put a fresh slice of each in a big glass or water bottle and keep sipping the water during the day. I drink coffee because I love the taste and it does not have much effect in boosting my energy when I am running out of oomph. When I do need a pick-me-up, an extra big glass of water makes a huge difference. Whilst a total diet overhaul would be a very good way to knock off the weight and improve how we feel, it takes super strong willpower to see it through. One easier way to start moving in the right direction is to watch what you snack on. Yummy treats are calorie laden and can make a huge impact on total daily consumption. Choosing healthy snacks will add boosts of goodness to your diet and help ease the guilty feeling you often get from stuffing a few biscuits or a bar of chocolate down your throat. Here is some easy suggestions. If you have a hobby, awesome, just make sure you find time to do a little every day. If you don’t, get one! If you don’t think you have a creative bone in your body, an adult colouring book and pencils is the perfect way to start. Engaging the right side of the brain, will give the left side a break from all the plotting and planning that it loves to do. Its all about balance. The to-do list will still be there when you have finished spending a little time playing with colours but the world won’t fall into a big heap just because you took a little time for yourself. Big goals don’t get achieved in a day. Write down the biggest goal you would like to achieve this year. Does it scare you because you have no idea how on earth you can make it reality? Below that big goal, write down all the things that will have to happen to make it real. Then everyday pick one small thing you can do to get the ball rolling. Even if you just start off researching, spend 10 minutes a day learning what you need to do or get to move you towards your goal. I don’t have a special someone to buy me flowers anymore, so I buy my own. 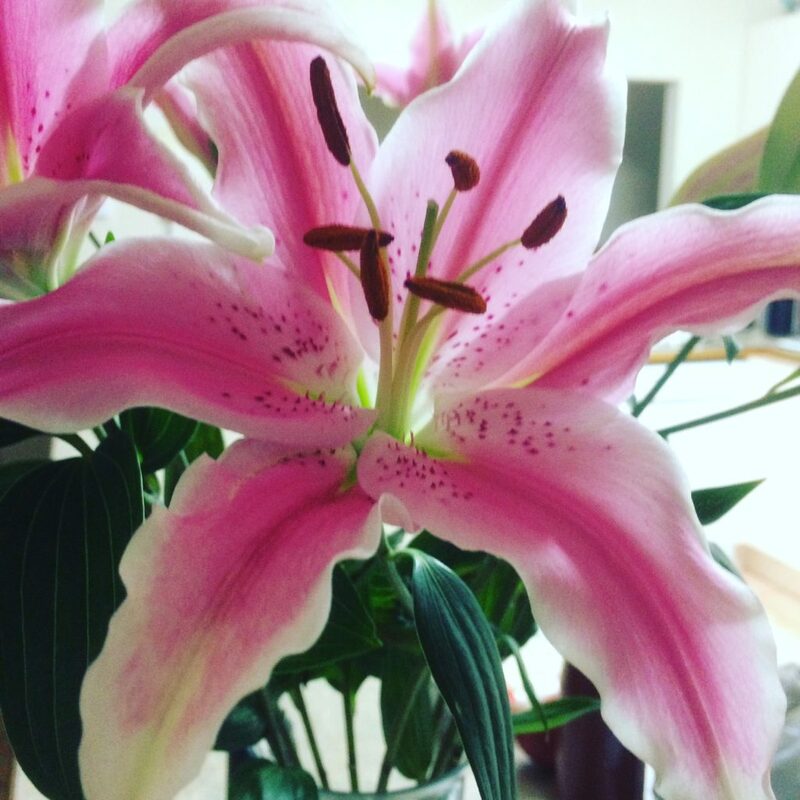 Nothing lifts your spirit quicker than glancing at a fresh bunch of blooms. Bring them in from the garden if you are lucky enough to have them or buy a bunch each week or so. I always get great value blooms from the supermarket, and as I work there I know what has come in that day so always get the best. Just make sure you throw them out as soon as they start to wilt or they will have a negative effect on the energy in your home. Woolworths have upgraded their rewards programme and you can now select to collect your points and have them released in time for that big Christmas shop. You just have to let them know via the website that you would like to choose that option. You can also do the same thing with Coles and have your Flybuys points credited to your card whenever you like. If you buy groceries you might as well get something in return, so swipe the card each time you go shopping. If your bank does not offer a Christmas Club style account, you can make your own. Each month buy a gift card and hide them away at home. When its time to start Christmas shopping you can take the cards to use for purchases. This is a much easier way to deal with Christmas without putting your credit card through its paces and then having to deal with repayment pain in the new year. Investing in shares can be risky and volatile, but can also be a rewarding way to expand your net worth. It is possible to start the journey into the share market for literally pennies until your confidence grows and results are seen. I don’t have time to spend hours studying the market and making the choices to buy and sell. At the same time one of my goals was to find a way to invest in something that can grow over time. Thanks to one of the Facebook groups I am in, everyone was raving about Acorns and I presumed it was an American only initiative. A quick app search lead me to discover the Australian version and I am starting small to test the water and see how it all works. A big oak tree starts as an acorn, so I am seeing how big this can grow. Gratitude is a powerfully positive magnet. When you are thankful for what you do have it draws more good your way. BUT we all have days where nothing seems to go right and it is very easy to stay wallowing in a negative state. Everyday this year, I am going to right down one thing that I am grateful for. Even when the going gets tough I can still be grateful that the day is over and tomorrow is a new one. At the end of the year it is going to be fun looking back over a whole year of good things. No matter what the weather is like, make time to go outside, connect with the glory of nature and breathe in some fresh air. Direct exposure to sunlight (not for too long) is vital for Vitamin D production and serotonin levels, the hormone that helps us feel happy. It is so easy to stay locked up inside, especially when it is cold and this can directly influence how we feel very quickly. If you have never experienced the power of Pure Essential Oils, make this year the one that you change. At the most simple level all you need is an aromatherapy burner, a tea light candle, a little water to put in the dish and some citrus based Pure Essential Oils. Don’t buy the fragrance oils from the cheap shop as not a single plant goes into making those and they have zero ability to make a difference. Choose from Lemon, Orange, Neroli, Bergamot, Grapefruit, Tangerine or Mandarin. All of the citrus oils are not only anti-bacterial so great for killing off airborne bugs, but they are all powerful mood enhancers. They will make your home smell fresh and will help lift your spirits. Please ensure you place the burner high enough that little fingers cannot get close to the naked flame and only start with one or two drops to ensure no one in the household reacts to them. Let this year be one of discovery. Try new food, a different restaurant, a different brand or cocktail. Find a new fragrance, new shade of lippie or try out a different hair colour. Visit a new destination, fly with a different airline or play tourist in your local hood. Join a group, take a class or have a go at a sport you have never tried before. The list of possibilities is endless, just give it a go. What wonderful things do you want to experience this year? 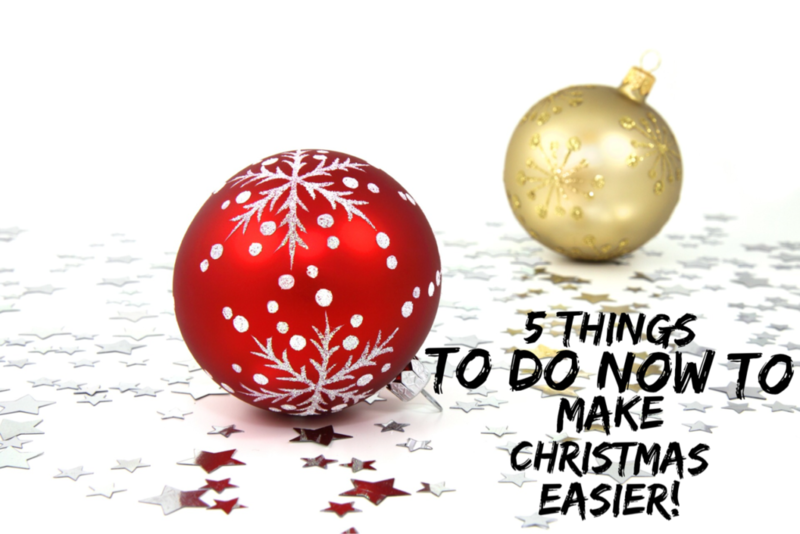 5 Things To Do Now To Make Christmas Easier! Christmas is supposed to be about fun, spending time with family and eating lots of good food. The trouble is the effort required to get to that special day can be totally hectic. For me work gets crazy, the social calendar gets full and this single mumma still has a household to run and mouths to feed. I need to try and make things as quick and easy as possible so that I don’t completely lose the plot. Here are 5 things I do to make the countdown to Christmas as smooth and organised as possible. I always seem to end up with a collection of half used jars of goodness crap at the bottom of my fridge and things in my freezer that I can’t really identify any more. Before a single thing for Christmas cooking is bought, it is time to make space for them. If things are passed use-by they go in the bin and those that are still good, get used up quickly with the help of a little creative menu planning. Each year I am in charge of the baking and dessert making at Christmas and one year I forgot to buy caster sugar! Never again! Clear out all the stuff that has been taking up valuable space and do a stocktake on all the non-perishable items you will need this year. If you have never tried online grocery shopping, now is the perfect time to do it. The shops are getting busier so why not have all this heavy stuff delivered to your kitchen bench instead. Think about all those heavy things like dog food, kitty litter, soft drink etc. that you wont have to lug around. Woolworths and Coles have free delivery on Wednesday if you spend $150.00 or more. To save time, money and calories on take-away meals during this hectic time create a simple 7 day menu plan each week in the lead up to Christmas. Choose quick and easy meals that can be on the table in a flash or make a double batch and freeze half for use later in the month. You could also organise a meal swap with family or friends who live close by so you get a night off cooking and get to try something different. Spending hours battling the crowds looking for that perfect gift for someone is no fun! AND if you love a good bargain then you need to check out some of these great online stores that will deliver your purchases to your front door for $10.00. Just about every shop you like can deliver to your home or organise a click and collect where you place your order and then pick it up instore. Save your legs and time and let someone else do the walking for you. I hope some of these tips will make your run up to Christmas Day a little easier. What is your favourite way to stay on top of it all? I would love to know! How To Turn A Gourmet Food Hamper Into A Delicious Christmas Lunch. Every year without fail Christmas rolls around again and the hunt for perfect presents and planning luscious meals begins. If you are like me and don’t have hours spare battling the crowds at the shops or flipping through a pile of recipe books, I might just have the perfect solution for you! 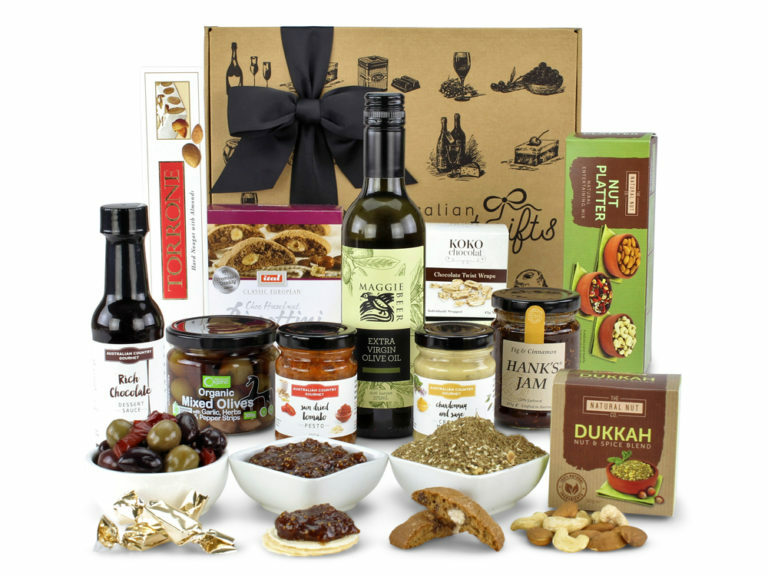 Last week I enjoyed an afternoon of taste testing beautiful products from a gourmet food hamper or ten that were provided by Australian Gourmet Gifts. Whilst munching away on an amazing selection of goodies and sipping on a glass of wine, I was already ticking people off my present shopping list who I know would love a big dose of good food in their home this festive season. At the same time I was planning a menu that was easy to prepare but would taste fantastic and impress all those sharing the table on Christmas Day. I come from a family of dedicated foodies that spent decades involved in restaurants and gourmet food shops. A BBQ chicken from the supermarket deli and a store bought pavlova just will not cut it with my clan. Putting a really nice meal together can be easy with the clever use of tasty ingredients with really fresh produce and choosing recipes that can be prepped well in advance so that you can spend the day relaxing and not slaving away in the kitchen. With so many hampers to choose from, the hardest part was picking the best hamper to use as the base for creating the menu. In the end the Gourmet Connoisseur Hamper won out for its great blend of savoury and sweet inclusions and there will still be plenty of goodies left to enjoy in the new year. Plate Up A Platter – The easiest way to start off Christmas Day celebrations is with a platter of delectable nibbles. Take The Natural Nut Company – Entertaining Nut Platter and the Absolute Organic – Antipasto Organic Mixed Olives to get started. 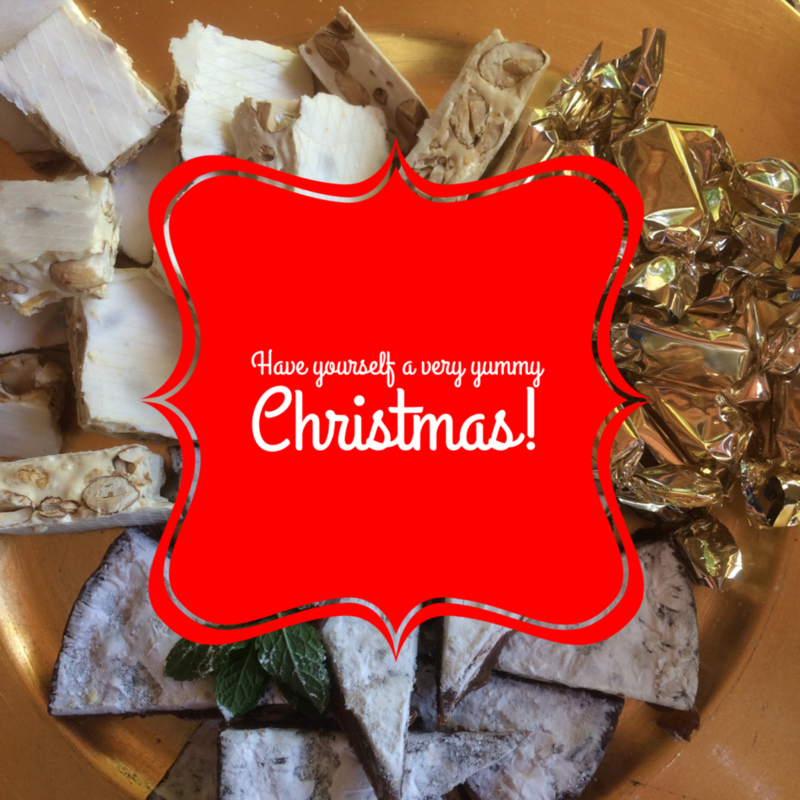 Add your favourite cheeses, dips or pate and a selection of savoury biscuits and chunks of fresh sourdough bread. Pesto Puffs – Ready made puff pastry sheets can quickly be turned into yummy mini quiches that can be made the day before and reheated on the day or served cold. Simply add 1/2 teaspoon of Australian Country Gourmet – Sun Dried Tomato Pesto to each one before adding the egg mix from this recipe. Ham It Up – A freshly baked ham will be a winner for you this year and any leftovers can be frozen in portions for use throughout the New Year. Place the whole ham on a chopping board and using a small sharp knife gently remove the rind leaving as much of the fat as possible. Score the fat in rows firstly across the ham and then from top to bottom. Spread a generous amount of Hank’s Jams – Fig & Cinnamon Jam all over the scored section and sprinkle with finely chopped macadamia nuts. Place the ham in a large baking dish lined with foil and baking paper. Sprinkle a little water into the pan before baking at 180C for 45 minutes, basting after each 15. Serve warm or cold with a big bowl of crisp salad. Terrific Turkey – Instead of spending hours baking a whole turkey, why not try a turkey breast roll instead. Follow the roasting direction on the packet and when it is done remove from the pan, but don’t throw out the all the deliciousness remaining in the bottom. Scrape it all into a small saucepan and over gentle heat add 300ml of thickened cream and 1 heaped dessert spoon of Australian Country Gourmet – Chardonnay & Sage Creamy Mustard and bring to a gentle boil for 1 minute and you now have a super sauce to serve with your turkey. Bake a large tray of mixed vegetables at the same time as the turkey sprinkled with Maggie Beer – Extra Virgin Olive Oil and some fresh sage leaves. Posh Pudding – A store bought plum pudding can be ready to eat after just a few minutes in the microwave. Have your guests begging for more by serving it with the best Brandy Cream. For the final touch grate a few pieces of Rinati – Elite Almond Hard Nougat to sprinkle over the top. Individual Ice Creams – If you would prefer something cold for a hot Christmas day, why not make these little ice cream bombs. Into a large bowl add a tub of good quality vanilla ice cream and beat until softened. Add some crushed Ital Choc Hazelnut Biscotti and a handful of frozen raspberries. Spoon this mixture into bowls that have been lined with cling wrap for easy removal and place in the freezer until it is time to serve. Swirl a generous amount of Australian Country Gourmet – Rich Chocolate Sauce on to each plate before placing the ice cream on top. Don’t forget to stock the fridge with plenty of Christmas cheer and make sure you add a bag or two of ice to the shopping list. You can order all the Christmas hampers and gift baskets (including the really lovely ones that come delivered in the luxurious black metal cooler in the pic above) that you could ever need without stepping into a single shop from Australian Gourmet Gifts and free delivery is included, so it does not get any easier than that! 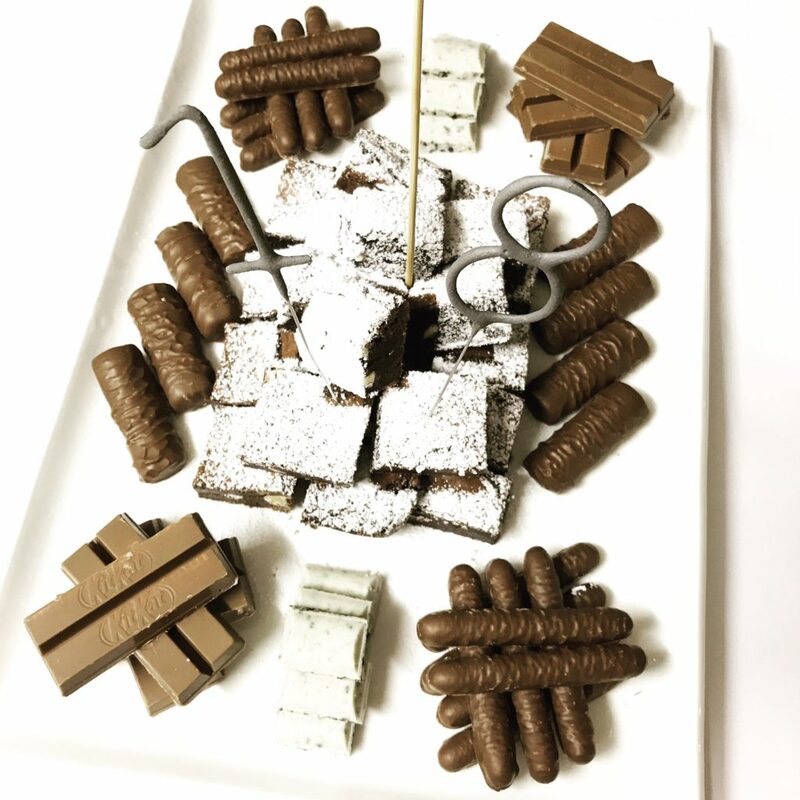 This is a sponsored post as I was a guest of Brand Meets Blog that organised this tasty get together on behalf of Australian Gourmet Gifts and all opinions and ideas are my own. Which is your favourite gourmet food hamper? Are you cooking Christmas Day lunch this year? Yesterday I bought my first Christmas magazine for the season, no doubt the first of many. I am lucky to have family to spend this special time with, in fact its one of the few times a year we all get together as we are all so busy. For many women, Christmas will just be another day, probably a very tough one. Everyday the number of women who are homeless or have simply walked away with nothing from a domestic violence situation is growing. The most basic necessities that we take for granted they just do not have. When you are planning your celebrations this year, could you please add one more thing to your list. You don’t have to go out and buy one, it can be one of yours that you just don’t use anymore. I cleaned out my extensive handbag collection the other day and I have kept two that I am going to fill up. The others were showing signs of just too much wear and the idea of passing those on just did not sit well with me, so I binned them. Or pop into your local Op shop and grab one that is in decent condition. 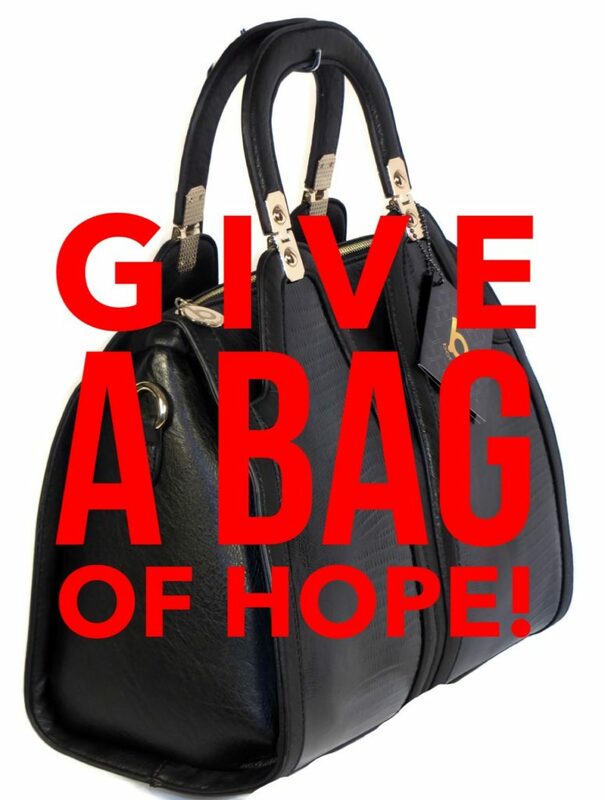 Fill the bag full of things that would put a smile on a ‘sisters’ face. Practical things are great such as personal grooming items are perfect. Pretty things like a notebook and pen or a piece of jewellery are ideal. Share The Dignity will have collection points all around Australia where you can drop off your bag between 19 November and 3 December. Together with charity organisations around the country these bags will be given to those ladies in real need in time for Christmas. There is a list of suggested items on their site as well as a few things you are not allowed to pack in your bag for safety reasons. You can join their mailing list to get updates on drop off locations in your state and they will be listed on the site closer to the date. Christmas is the perfect time to share some generosity with others and this awesome idea will ensure that every dollar you spend is going directly to help shine some positivity and love where it is so desperately needed. ** I was not asked or paid to write this post, it is a project that I am supporting and really hope that you will too.